Dr Josepha Josephine Wilkinson received a First Class Honours degree from the University of Newcastle. She was the winner of the Third Year Prize for her work on The Little Apocalypse, which placed Mark chapter 13 into its historical context, and the Jewish Studies Prize for her historical study of the community at Qumran. She remained at Newcastle, earning an MPhil for her thesis on the historical John the Baptist (as close to a biography as is possible to do); her PhD traced historical traditions and legends of John the Baptist across several cultures as well as art, literature and film. She was a scholar-in-residence at Gladstone's Library in Hawarden (formerly St Deiniol's Library), Britain's only residential library. This was founded in 1898 by the great Victorian statesman, William Gladstone. Great Britain's only Prime Ministerial library, it is based on Gladstone's personal collection. Dr Wilkinson has also held an honorary post at the University of Glasgow. 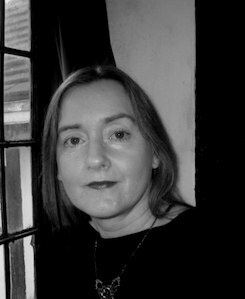 The recipient of a British Academy award, she is the author of Richard III, the Young King to Be, published by Amberley. Other books are Mary Boleyn: The True Story of Henry VIII's Favourite Mistress, The Early Loves of Anne Boleyn and The Princes in the Tower. Her other interests include seventeenth-century France, with particular focus on Louis XIV and his court, Nicolas Foucquet, and the historical figures behind the Man in the Iron Mask and Dumas’s Three Musketeers. She is also interested in the history behind the Rennes-le-Chateau/Priory of Sion mystery. Andrew was recommended to me by one of his clients, who spoke very highly of him and urged me to contact him. I’m pleased I took her advice! I was impressed by Andrew’s professional and supportive approach and found him to be as enthusiastic about my work as I am. Follow Josephine Wilkinson on Twitter @Jo_History. UK rights in Jo Wilkinson’s Louis XIV: The Gift of God have been bought by Amberley. Dr James Barry: A Woman Ahead of Her Time by Michael du Preez and Jeremy Dronfield made the Biography section where it was described as ‘gripping, unusual, moving’ . 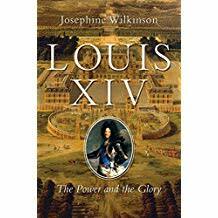 Pegasus have bought North American rights in a new biography of Louis XlV by Josephine Wilkinson. 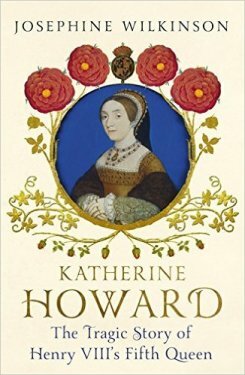 John Murray have bought world rights in Josephine Wilkinson’s life of Henry VIII’s fifth wife Katherine Howard.